Has Israeli military innovation made war more just? Spurred by the digital revolution and pressured by Western moral standards about protecting innocent life, advances in battlefield technology have fundamentally changed the way we fight wars. Armies can now use pinpointed weapons to minimize civilian casualties. They can fire missiles at a single apartment in a crowded building, can identify the car of a terror cell leader and monitor it until it passes into an isolated area and be destroyed with a drone, and can use cyber tools to remotely disable weapons systems without ever dropping a bomb. In short, precision weapons offer a more moral way to target enemies and their military assets, especially when non-state fighters use urban settings and civilians to shield themselves. These weapons, and their wise employment on the battlefield, are developments we should largely praise and sustain, even as important questions remain about how to employ them lawfully and about the true extent of their reduction of civilian casualties. Many of the weapons that make precise combat possible have their origins in Israel. 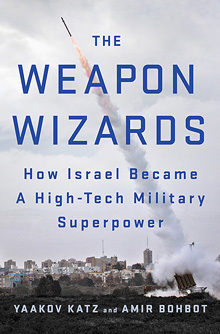 The Weapon Wizards: How Israel Became a High-Tech Military Superpower, penned by Israeli journalists Yaakov Katz and Amir Bohbot, recounts how and why the small state has developed such advanced weaponry. The book largely takes the form of narrative nonfiction rather than an essay or a policy report, telling a series of stories about how “Israeli chutzpah” grew the country into a military technology hub. The story starts with Israel’s humble munitions beginnings in the waning years of the British Mandate, when a pre-state militia illegally produced its own bullets in a factory hidden underground, beneath a laundry business and a bakery. Katz and Bohbot proceed to the present day, with Israel standing armed with a cache of some of the world’s most advanced missiles, drones, satellites, and cyber weapons. Many Western militaries depend on Israel for their advanced weaponry supplies. The authors highlight Israel’s overwhelming share of the global military-drone manufacturing market — 60 percent, trailed distantly by the United States, at 24 percent — as an illustration of just how essential Israeli military development has become to modern warfare. In Katz and Bohbot’s telling, Israelis developed these weapons largely alone, as a necessary result of the country’s vulnerability and diplomatic isolation. Israel’s geography has certainly contributed to the nation’s urgent need for such high-tech tools. The state has yet to go a single decade without a major confrontation with its Arab neighbors. Without population size or financial resources in its favor, Israel has always exploited whatever assets are available to it. Today, the country’s border patrol relies upon automation to minimize human error, with impressive results. The West Bank border is marked by a complicated fence system of electronic sensors, surveillance cameras, and patrol roads. Supporters often credit the fence with the dramatic fall in suicide attacks inside Israel by Palestinians since the start, in 2000, of intense conflicts known as the Second Intifada. Soldiers can’t be everywhere at once, but a proper surveillance system can. But with their theme that Israel has relied mostly on her own chutzpah and innovation to survive, the authors minimize the importance of international support for Israel’s military, both in the development of many of these weapons and in their economic feasibility. Katz and Bohbot acknowledge that the country is “highly dependent on international — and particularly American — support,” but they downplay that support throughout the book. In their telling, the United States’s only contribution to the groundbreaking Arrow anti-ballistic missile system — the proof-of-concept that led to the rise of the now famous Iron Dome and David’s Sling systems — was funding. In fact, though originally manufactured and largely developed in Israel, Arrow is a joint effort of Israel Aerospace Industries and Boeing. And, according to Boeing, newer versions of the system include “major components and subsystems” manufactured in Alabama. These projects would not have been possible without the investment of American dollars and manufacturing capacity. When the book discusses the role of the Six-Day War in Israeli military developments, it misses that a year after the war the United States began to sell Phantom aircraft to Israel. During Israel’s subsequent War of Attrition, these American F-4s, flown by Israeli pilots, were shooting Egyptian planes out of the sky. Today, nearly all Israeli fighter aircraft are American-made. The sale of these superior machines in the 1960s, along with a recognition of mutual goals and principles, led to a commitment by the United States to guarantee that Israel have the technology, funding, and tactics to keep a qualitative military edge over its Arab neighbors. The American government has taken its special relationship with Israel very seriously, backing it both materially and financially. Since World War II, no country has received as much cumulative foreign assistance from the United States as Israel, most of it as military assistance. In 1991, Israel used American-made Patriot missiles to defend against Iraqi Scud missile attacks. When Israel faced daily attacks from Palestinian terrorists during the Second Intifada in the early 2000s, Congress authorized $9 billion in loan guarantees and $1 billion in military grants. And the biggest pledge yet was signed in 2016, for $38 billion in military aid over a ten-year period beginning in 2019. But international contributions aren’t just good for Israel; they clearly benefit the countries providing support as well. Though much of this innovation could not have happened without the encouragement and support of Western countries, Israel’s use of these weapons also illustrates potential applications in battlefields where the U.S. and other Western armies increasingly find themselves operating. Israeli military innovation and developments have shown what creative use of technology can accomplish. These are essential lessons for Western militaries facing guerilla warfare and terrorism throughout the world and, increasingly, at home. In a post–Cold War world in which nation-to-nation warfare seems increasingly anachronistic, many have asked how countries should fight wars against non-state actors. Israel has been working on answers to that question for decades. Lurking but not addressed in The Weapon Wizards is the question of whether technologically advanced weapons make it possible to engage in combat in a more moral way. Security experts have long recognized that terrorist organizations use Israel as a sort of laboratory for new ways to kill civilians. Israeli citizens have faced airplane hijacking, large-scale suicide bombing campaigns, and, more recently, car-ramming and knifing attacks. Yet Israel often receives international opprobrium for what Western critics claim is a disproportionate use of force against Palestinian combatants. Israel has had to balance its response to persistent violence from militants at its doorstep against its response to the concerns of the community of Western nations to which it belongs. The country’s government, judicial system, and military constantly debate and revise rules of engagement and innovate tactics to minimize civilian deaths and property damage. In December 2008, Israel launched a major military campaign, known as the Gaza War or Operation Cast Lead, against the terrorist organization Hamas in the Gaza Strip. Responding to hundreds of rocket and mortar attacks into Israeli territory, the IDF hoped to destroy weapons caches throughout Gaza. But Hamas had hidden its arsenal in civilian apartment buildings. Working to avoid civilian casualties, Israel phoned the apartment residents, explained in Arabic that an attack was imminent, and waited until the residents had evacuated to drop a bomb and destroy the rockets hidden below. This approach proved effective — until Gazans began to respond to the phone calls by massing on the roof of the targeted building. The first time this happened, the IDF canceled its attack, leaving the stock of deadly Hamas missiles in the basement. Israel’s desire to avoid Palestinian civilian casualties had put its own civilians in danger. As Katz and Bohbot recount, these considerations led the Israeli military to devise an unconventional way to use its advanced weaponry to get civilians out of the building — the policy of “knocking on the roof” of apartment complexes housing stockpiles. Once residents climbed to the roof, an attack helicopter fired machine guns nearby. If anyone remained on the roof after the warning volley, the helicopter fired, into a corner of the roof, a small missile with a warhead with low shrapnel dispersion, designed to minimize injury. The remaining residents then left the area, allowing the IDF to complete its mission and destroy the cache of projectiles. According to Katz and Bohbot, “The more the new tactic was used, the more the IDF saw a continuous drop in civilian deaths.” By early 2009, the authors say, just one civilian was killed for every thirty combatants — a remarkable drop from 2002, when the number of civilians and combatants killed by the IDF was roughly one-to-one. If the 1:30 ratio is anywhere near accurate, it would provide powerful evidence of the moral case for the precision technologies employed by the Israeli military. But there is a great deal of room for skepticism. The authors do not provide enough sourcing to track down these numbers. A December 30, 2007 Haaretz article cites the same figures — a drop from 1:1 to 1:30. But that article states that the 1:30 ratio is for 2007, not 2009. This correction would mean that the 1:30 ratio, which the authors cite as evidence for the effectiveness of “knocking on the roof” in reducing civilian deaths, is actually from before the advent of the tactic. And, according to the Haaretz article, the source for these figures is the IDF itself. Estimates from other sources are typically significantly higher. Moreover, Katz’s own Jerusalem Post article provides a quite different picture of Operation Cast Lead, noting a range of estimates for the conflict’s civilian death of between 25 and 60 percent. So large questions about these numbers remain, to say the least. It is also worth giving some attention to the risk inherent in thinking about such weighty moral questions in this numeric way. These figures, to the extent they are accurate, represent lives saved. But they are bloodless, like walking through a battlefield with a calculator. Making the case for the moral advantages of high-precision weapons involves rendering the gruesome work of thinking about the many ways people die in war into something amenable to statistical optimization. This work is essential to acting more morally — yet it also risks detaching us from the moral realities the numbers represent, turning us into Herman Kahns tallying Megadeaths. Here, then, is a useful microcosm for the simultaneous promise of drones and similar weapons and fears over how they might change us. The extensive use of drones has sparked vociferous international debate. Some argue that civilian deaths are far more common than official reports suggest, and that the secrecy of drone warfare can obscure these deaths. Others question the legality of drone attacks outside of the context of sustained, armed conflict. And some worry that the relative ease of using drones remotely can make pilots callous to the violent reality on the ground, rendering operators no more than video-game players tinkering with joysticks from far outside moral gravity’s sphere of influence. Though these debates persist, the weight of the evidence still favors the conclusion that precision weapons — especially drones — can help to minimize collateral damage, making peace and stability easier to achieve than with other kinds of weapons. This topic concerns all countries that are engaged in combat and seek to protect civilians, especially the United States. America has recently deployed drones to seek out militants in Pakistan, Syria, and other conflict zones. War in crowded civilian areas will always involve the risk that noncombatants will be killed. And combatants in these areas often embed themselves in the local population, making precision weapons like drones especially valuable. In the areas of Pakistan where drones have become the primary means of attack, civilian deaths are far lower than they likely would have been with more traditional forms of attack. A 2013 Economist article reporting on interviews with residents of Pakistani tribal areas gave evidence that people living with terrorists in their midst prefer the accuracy of these weapons. Some residents said that drones did not kill many civilians — at least, not as many as indiscriminate Pakistani artillery attacks against the militants. “No one dares tell the real picture,” said one elder from North Waziristan. “Drone attacks are killing the militants who are killing innocent people.” Several Pakistani politicians and non-governmental organizations even published a declaration in 2010 supporting drone attacks for fighting militants. To better explain how revolutionary these weapons are, it is instructive to discuss the laws that regulate warfare. In this context, it becomes clearer that the use of these technologies provides for a less invasive, more moral way to pursue legitimate military targets, even in the urban settings in which non-state actors tend to operate. Warfare is governed by the Law of Armed Conflict (LOAC), a customary name for a set of regulations and customs developed through international law and treaties. The LOAC is meant to regulate the conduct of armed hostilities while parties are actively at war, and is usually understood to be governed by four principles: military necessity, distinction, humanity, and proportionality. Use of deadly force is permissible, even if it means that civilians may be killed, provided that the military objective is significant enough to help attain victory, thus bringing the conflict to an end (military necessity). Armies are expected to distinguish between combatants and noncombatants (distinction). They must minimize civilian suffering and destruction of civilian property (humanity). And the degree of force and resulting damage must not be greater than is required to achieve the military objective (proportionality). If a potential attack’s projected damage to civilians is too egregious, the LOAC dictates that combatants must cancel the attack. If they do not, the attacking military may be guilty of a war crime. In short, the LOAC regulates military actions so as to prevent unnecessary suffering, while acknowledging that warfare itself is not an illegal act. • Military necessity: The buildings targeted, though housing families, represent legitimate military targets, as Hamas had housed their arsenals in the basements. • Distinction: The Israeli military separated legitimate military targets from civilians by using a tactic designed to remove civilians safely from the building. Israel used the technology at its disposal not only to warn inhabitants but also to ensure they had left the explosion radius. • Humanity: To lose one’s home is tragic. But military necessity still allows for the destruction of property. Israel did not restrict residents from exiting the building, nor did it bomb whole streets. It chose its targets based on intelligence that proved that weapons were at a specific address, and did not destroy surrounding structures. • Proportionality: Israel showed restraint in only going after weapons and militants it could confirm by sight, using a precision-guided missile that allowed the operator to guide it to its proper mark before deploying it. Only once the target was positively confirmed would the missile be deployed. The LOAC regulates military behavior only among consenting nations, namely those that have signed the Geneva Conventions. In a traditional war, both parties are expected to follow these tenets. For example, both militaries in conventional warfare wear uniforms to distinguish soldiers, who constitute legitimate military targets, from civilians. But Hezbollah, al Qaeda, and ISIS militants aren’t signatories to the Geneva Conventions. Militants look just like their noncombatant neighbors. To adhere to the principles of distinction and proportionality, armies need to be able to properly separate combatants from civilians. Information on the identity and location of militants must be provided in real time. And armies need pinpoint munitions, ones that will cause as little damage as possible beyond their targets. Western armies are committed to protecting lives in the communities where terrorist organizations embed, even when the organizations themselves are not. Precision technologies make it possible for armies to uphold the principles of the LOAC while still successfully striking targets. Drones allow for surveillance, following targets without risking the life of a pilot or soldier. Once a target is identified, drones can continue to follow the individual until a decision is made as to when, where, and how to attack. These capabilities lessen the risk of hasty decisions leading to actions that, even if proportional and humane, may still cause a great deal of civilian suffering. Militants will continue to engage in asymmetric forms of warfare, forcing militaries to fight in places where children play and ordinary citizens have built their lives. Warfare has changed so that the West can respond to these threats while maintaining our moral standards — that life is sacred and we should minimize the horror of violence. 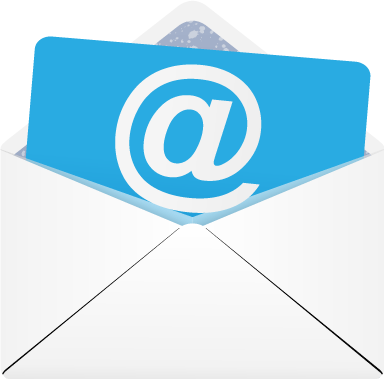 Militaries still must fulfill their mission to safeguard the lives of citizens back home. But they must also do what they can to protect the civilians whom terrorist organizations callously use as human shields, knowing full well that Western militaries will balk at taking innocent lives. The principled perspective of Western armies provided the foundation for the weapons described in Katz and Bohbot’s book. Drones that can stay airborne for days, missiles guided by a joystick, and anti-ballistic systems that can shoot incoming rockets out of the sky are examples of machines created to safeguard the lives of both fighters and civilians. Instead of allowing militant groups to take advantage of the ethics of these militaries, Israel and Western countries have developed innovative weapons that allow them to protect the citizens they are sworn to defend without violating their moral codes. Merav Ceren is a foreign policy analyst and writer living in Washington, D.C.
Merav Ceren, "The Moral Case for High-Tech Weapons," The New Atlantis, Number 53, Summer/Fall 2017, pp. 136-143. Image from Israel Defense Forces via YouTube.